St. Peter teaches how to ward off temptation and self-love by strengthening the soul by wearing the armor of Holy Love. 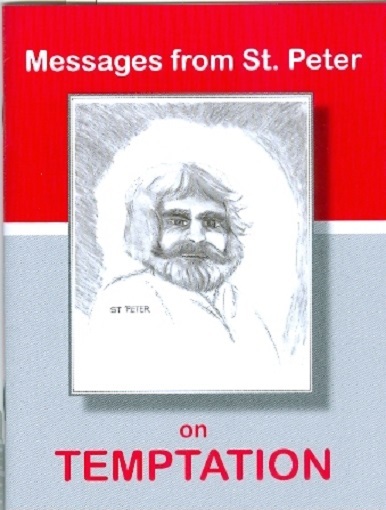 St. Peter says: "Praise be to Jesus. Once again I come to speak to you about temptation. It is always the pride of self-love that opens the soul to the compromise of truth. while no one should judge another's motives, it is good to understand why any soul would embrace untruth. It is in this way temptations can be avoided." "The heart open itself to Satan's lies through the love of some sin, such as greed, lust, love of reputation or power. Once the truth is compromised, the sin seems reasonable and is embraced. Therefore, each heart needs to recongnize where his affections lie and what ports of entry Satan uses to pull him into sin." "If a soul is unable to see the ways that Satan attacks him, he is weak and vulnerrable to evil suggestions. The more the soul recognizes this, the stronger he becomes spiritually. To know your spiritual weaknesses is to increase your spiritual strength." "Every soul should pray to be shown this knowledge daily." "Dear Jesus, show me the way Satan is attacking me in this present moment. Be my armor, and strengthen me against his attacks. Amen." "Your words, Lord, are Light and Truth. Your Provision, Your Mercy and Your Love come to me clothed in Truth. Help me always to live in Your Truth. Assist me in recognizing Satan's deceit in my own thoughts and in the thoughts, words and actions of others. Do not let humility elude me, as I know humility is Truth itself. Amen." Booklet cover measures 4.5 x 6 inches. 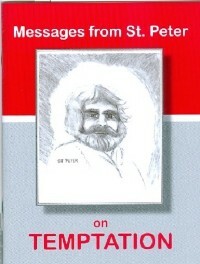 Front cover depicts image of St. Peter as seen and drawn by visionary Maureen.